In the Semnan province of Iran there is a town called Mehdi Shahr, previously called Sangesar, that is the main centre of the Sangesari tribes. Usually from September to March they settle in this centre before travelling their normal routes during the other part of the year. They are the most important tribe of the Alborz Mountain area and have the longest nomadic path duration of all nomadic tribes of the Iranian plateau, that stretches up to 1,500 km in length. Bernard Hockard, head Iranoligist in Europe, believes that the Sangesari tribe’s nomadic route is the longest in the world. He also commented that their Summer camps are the most elegant that he has ever encountered. Majority of their traveling occurs during Spring and Summer and their tents are made specifically to withstand the hot sun. 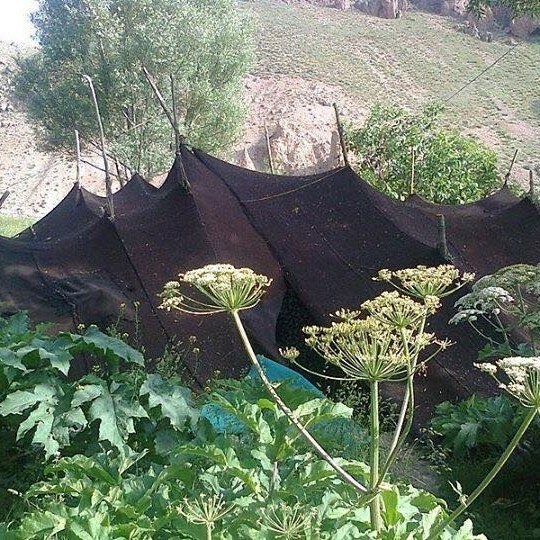 These tents are black because they are made from goat hair and surprisingly it is called “goot/ goat” in Farsi. One of the most amazing facts about these tents is their correspondence to ancient Iranian architecture. Inside the tents there is a dedicated space for family (andarooni), guests (birooni) and also the kitchen. These spaces are separated by woven walls that is unique to the Sangesari tribe. - ‘sargira’: this is usually very fine woolen fabrics used by women to completely cover themselves, similar to the modern day chador. - ‘kajin shevi’: this is the finest silk fabric made by the women to wear as a shirt. - ‘ferakh serval’: these are multi layered skirts usually decorated with a large floral design. - ‘makene ‘: this is a needle point fabric unique to the Sangesari women to cover their hair. Other woven products of the Sangesari tribes are changum (woven earrings for ladies) and also pallas (heavy duty, colourful floor coverings). 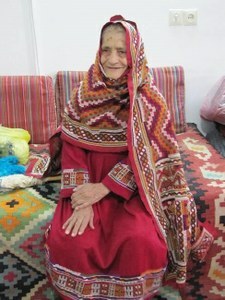 Apart from all their unique fabrics, the Sangesari tribal members are also master weavers of carpets and kilims, that shows a possible heritage from the Tati tribe of Iran. In my opinion these peoples are the oldest surviving Persian-speaking nomadic people of Iran with roots in the Parni/Aparni tribe of pre-historical times that lived south-east of the Caspian Sea. It is also believed that their original homeland may have been Southern Russia from where they immigrated with other tribes. The Parni were one of three tribes of the Dahae/Dahan confederation. The other two tribes were the Xanthii and Pissuri. 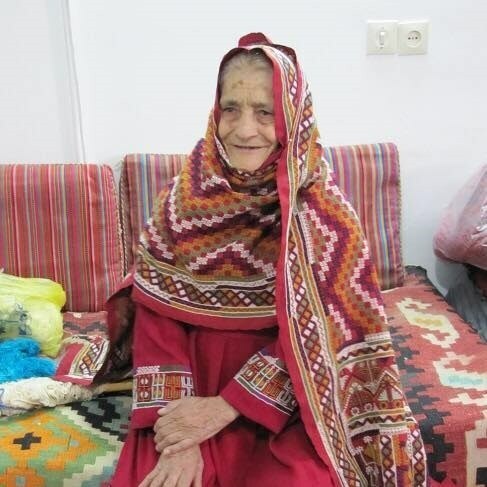 Majority of the Tati woven products were mistakenly categorized as Kurdish, Shahsavan or even Baluchi, depending on which of these tribes were in their vicinity at a particular time. My biggest hope is that we can one day clearly distinguish the Tati weaving from the other tribes, especially considering that the Tati’s are spread out from east-Caucuses to Khorasan and are therefore also influenced by tribes in each area. An interesting fact is that one of the sheep breeds in Iran is called Sangesari. The ratio of meat compared to the entire weight of the sheep is the highest in the entire world, making up 60% of the animal. 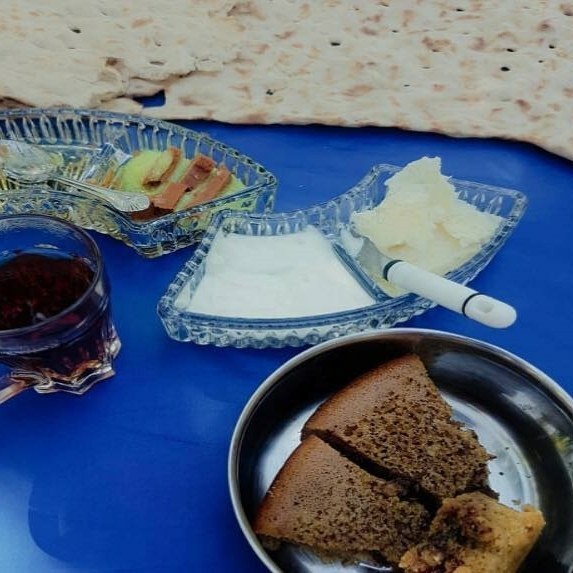 This lamb meat is regarded as the most delicious and tender in Iran. 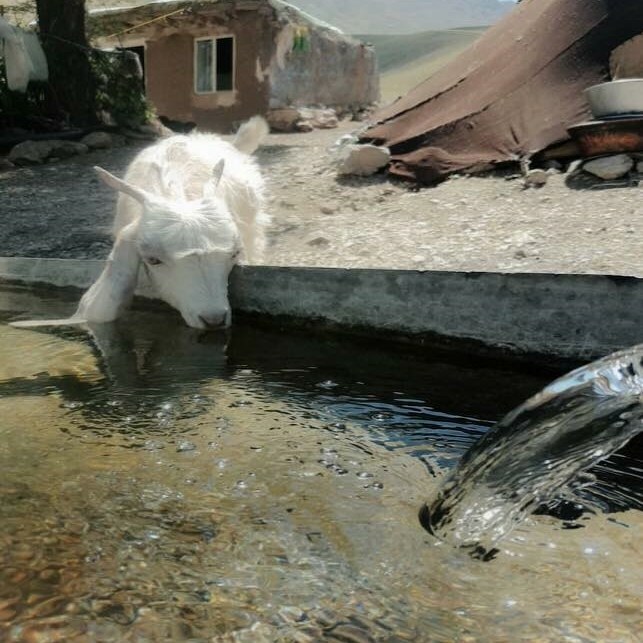 The Sangesari tribe use the milk of sheep and goats to produce 32 different dairy products. Some of them, like ‘varhun’ (a dense buttery fat) and ‘arisheh’ (a thick fried cheese similar to haloumi cheese) is unique to this tribe. They also make a local kind of chocolate called ‘chico’ that makes wonderful gifts for guests visiting them. Dr Farhadi from Iran believes that the dairy production of this tribe is so well developed that many modern dairy factories cannot compete and could learn from the Sangesari. One of the oldest celebrations of the Sangesari, showing their pure Persian origin, is ‘Aniran/Neroon’ which means ‘Everlasting light’. It happens in the middle of September and lasts for nearly one week. One of the traditions in this celebration is hanging pomegranates (anar) onto the horns of sheep and then encouraging the sheep to run around in the fields so that they can break open the pomegranates, which translates to a sign of fertility and prosperity for the next year. On the last night each family do a stock take of the animals they own and record the number. The Sangesari tribe has their own calendar that is very similar to the calendar that was used in Ancient Iran during the Sassanid era. This calendar and the terminology used in it is also very similar to old Khorasan and Khwarezm languages that is indicative of the possible common ancestry of the Sangesari and Sogdian tribes.